In honor of the College’s 150th anniversary, Mayor Mike Huether declared Wednesday, Sept. 8, 2010, “Augustana Day” in Sioux Falls. Originally founded in 1860, Augustana moved to Sioux Falls in 1918. On Sept. 8, College officials, students, alumni and community members celebrated its Sesquicentennial and marked the beginning of the 2010-2011 academic year with an historic Opening Convocation ceremony, held at the Elmen Center. At the ceremony, College officials unveiled the restored Eidsvaag Bell, a gift originally given to the College by Endre Endresen Eidsvaag, a farmer from Norway, in 1869. At the time, the still-young Augustana, then called Augsburg Seminary, was housed in a small schoolhouse in Marshall, Wisc. 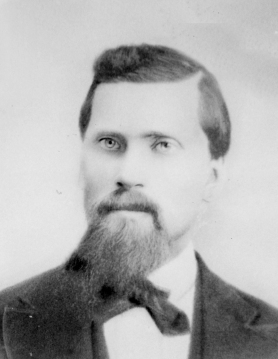 By the late 1870s, a new voice had emerged in Augustana’s story – that of Norwegian James Wahl, commissioner of Immigration for the Dakotas. Well-traveled and well-connected, Wahl urged the Church’s leaders to follow the western migration and move Augustana to Beloit, Iowa. In 1881, Church officials voted in favor of moving Augustana and, in turn, gave Wahl the authority to move the school and all its belongings, including the Bell, from Marshall to Beloit. Two years and a nasty court battle later, Wahl delivered the Bell to Augustana’s Beloit campus. The Bell eventually followed Augustana to Canton, Dakota Territory, in 1884 and finally, to Sioux Falls, where it was installed in the bell tower of Old Main in 1918. For more than 60 years, the signature sound of the Eidsvaag Bell signaled the beginning and end of classes and commemorated major events on campus, such as opening day and graduation. However, after the weathered and aging Old Main was officially retired from classroom use in the 1980s, the Bell was no longer officially rung. Wahl remained an active advocate for Augustana and higher education until his death in 1939. Nicknamed “Lincoln County’s Grand Old Man,” he spent nearly 70 years serving the County in various capacities, including Treasurer, probate judge and legislator, in addition working as the County Historian. According to his descendants, even into his old age, the sight of the Bell inside Old Main’s bell tower always evoked a sense of pride in Wahl. His work on behalf of Augustana, and his fight for the Bell, was a story passed down through his family’s generations. In honor of Augustana’s Sesquicentennial, College officials extracted the Eidsvaag Bell from Old Main on June 21, 2010. At its re-introduction to students, faculty and staff, alumni and community members – including more than 40 descendents of James Wahl – the Eidsvaag Bell was rung by Augustana Sophomore Kelsey Ramstad, the great-, great-, great-granddaughter of James Wahl. Ramstad, a native of Colton, S.D., is a nursing major. Initial plans call for the Bell to be rung at Viking Days and at other important college events throughout the 2010-2011 academic year before a permanent home on campus is identified. Photos: Top: James Wahl; bottom: Augustana Sophomore Kelsey Ramstad, the great-, great-, great-granddaughter of James Wahl, rings the Eidsvaag Bell at the Opening Convocation ceremony on Sept. 8, 2010.